Now that 3 states have legalized it for recreational use, 19 for medical use, and with legalization on the November ballot in 5, it is especially fun to relive the hysteria surrounding marijuana as a perceived gateway drug from the 1930's to the 1950's and beyond. And now you can do so in the comfort of your home with Reefer Madness from Dark Horse Books. Like the anti-drug propaganda films of that era, these stories range from comically misinformed to soberly concerned about the influence of Mary Jane on the youth of America. With titles like Teenage Dope Slaves,Satan’s Cigarettes, and Hopped-Up Killer, the gulf in attitudes between today and the days of Reefer Madness could not be wider. 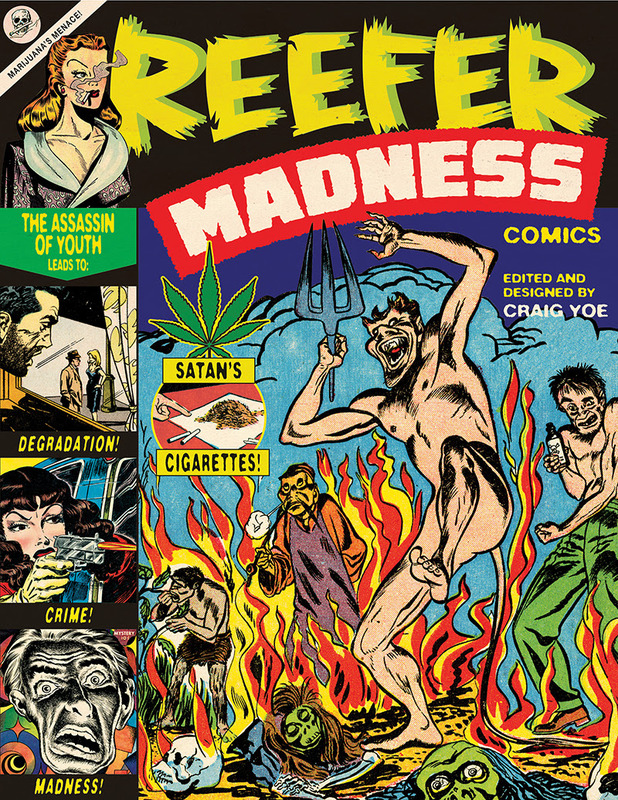 Includes a long introduction summarizing the anti pot campaigns of the first drug czar, Harry Anslinger, and newspaperman William Randolph Hearst, with lurid covers from many of the comics and magazines of the day. 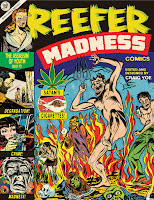 The comics collected in Reefer Madness come from comic book legends like Jerry Siegel and Joe Shuster (Adventure Comics), Frank Frazetta, Jerry Robinson, and Jack Kirby. Eisner and Harvey award winner Craig Yoe brings a new collection of wacky, wild, and culturally relevant comics to the mix. Reefer Madness goes on sale March 29, 2017.